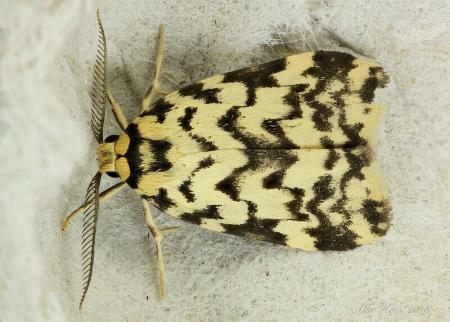 The adult moths of this species have white forewings, with black irregular zigzag markings on each forewing. The hindwings are pale brown, shading darker at the wingtips. The wingspan is about 2 cms. Series 2, Volume 4, Part 4 (1890), pp. 1079-1080.